Foccacia, yes! 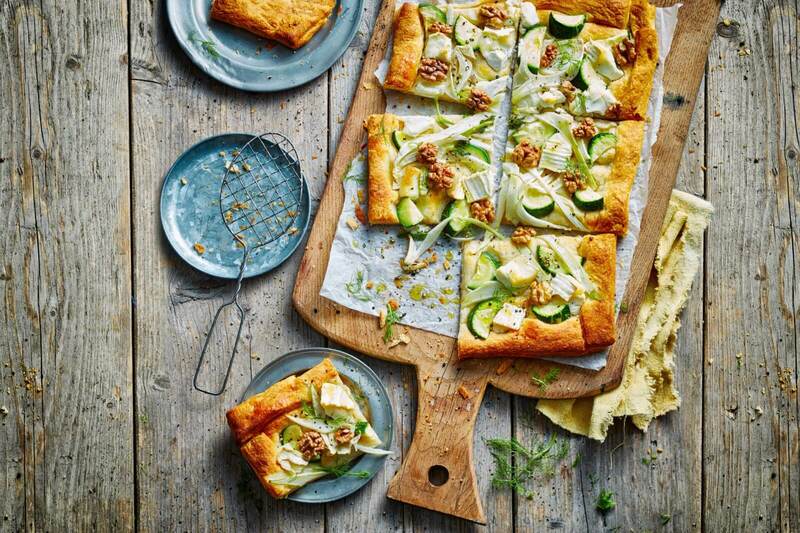 Right from your own oven, and prepared with fresh ingredients: fennel, zucchini, goat cheese and walnut, what’s not to love? Buon appetito! Preheat the oven to 180 degrees, make sure there is baking paper on top of the baking tray. Roll out the dough, and make sure the edges are folded double. Using a fork, create some holes in the dough. Spread out the goat cheese across the dough. Cut the zucchini in half, and then in thin round slices. Grate the fennel, and divide this together with the zucchini across the dough. Do the same with the pieces of goat cheese. Bake the foccacia for 25-30 minutes.